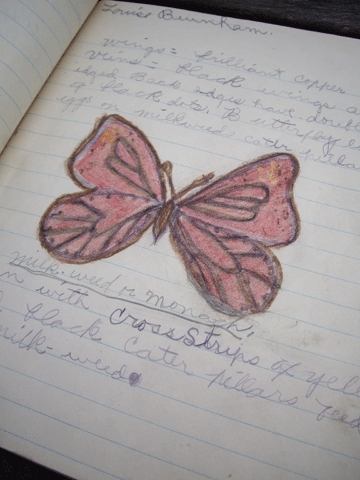 This notebook belonged to my great-grandmother, Clara Louise. I really love to flip through it's pages and imagine her, at 11 years old, at work on the essays, little stories and fanciful drawings that fill its pages. 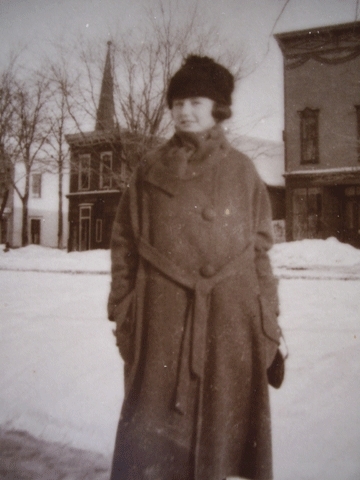 The last image of the house (which I believe must be the cottage she lived in, where she went flying through the basement window and landing in the coal shoot on her sled one winters day…she always used to tell that story!) 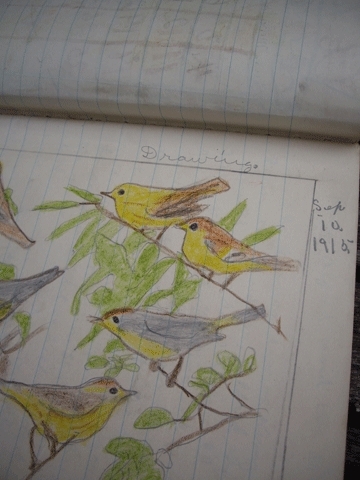 was drawn exactly 94 years ago today! I love these family treasures! 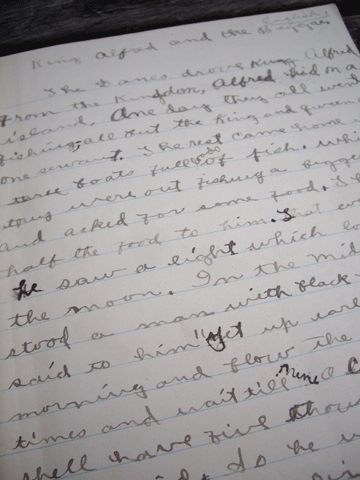 Don’t you just love handwriting from days gone by? It really has some special uniformity to it! Thank you for sharing! You’re so lucky to have them!! I’ve found this card I made floating around between boxes – apparently I drew it when we were in kindergarten and it’s – Santa Star – glittery and poorly misshapen, and all crayon and…that’s the only survivor from my childhood. My mom didn’t save much. It puts a bit of pressure on me now – save Everything that he does? The first of everything? Where to keep it?? 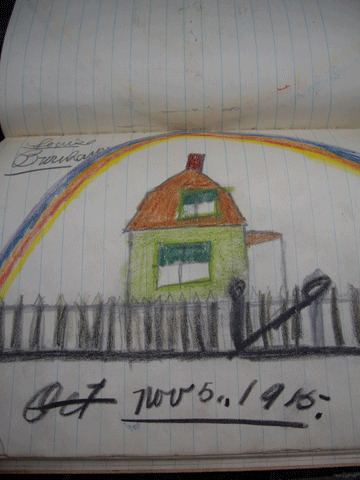 And then 100 years later…Great grandpa Hagen’s drawings…yes, save save save!!! Clara’s notebook is beautiful. She was such a fine artist. This is such a wonderful treasure for you to have. Keep it save and past it down to little Clara when she grows up. 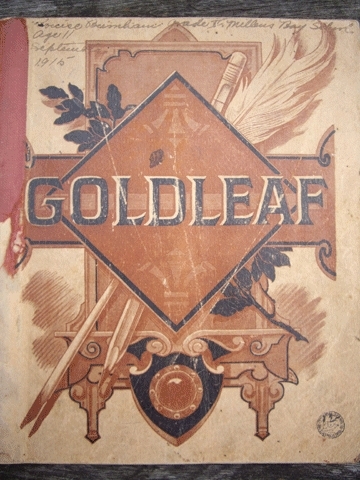 Family history and treasures are wonderful to have. those sweet birdlings (my em lately adds “lings” to all things cute to make them even cuter) have captured my heart. how lucky to have this evidence of what can only have been a splendid life! I love this so much! Thanks for sharing.